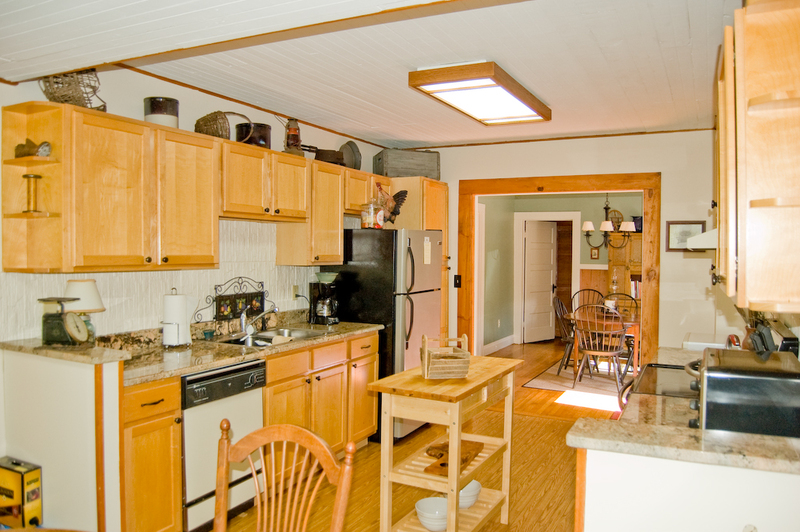 Fully Equipped Kitchen with Dining Nook and separate Dining Room. 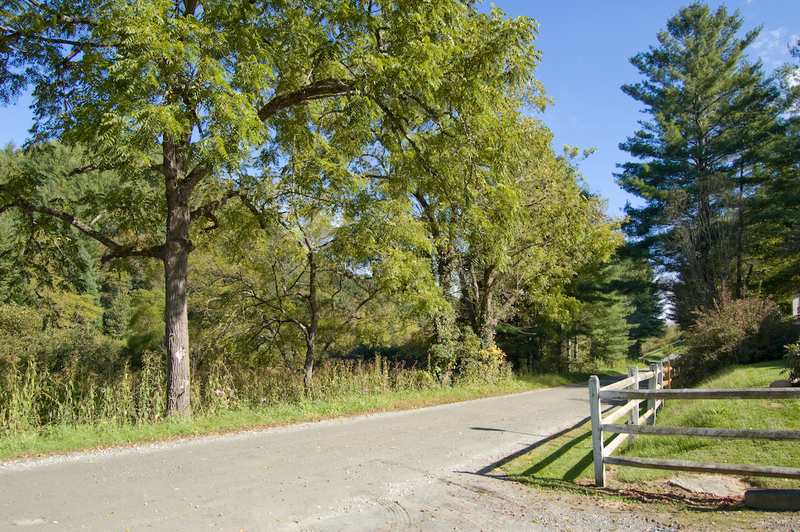 Tree lined country leads to the farmhouse, the New River flows for miles along the Garvey Bridge Rd, perfect for bicycling. 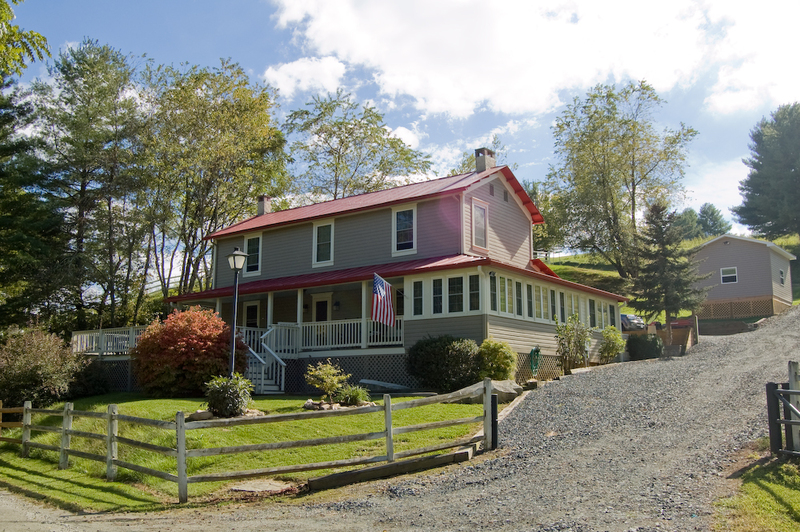 Just a stone's throw from the historic New River, you will find "Dunrovin Farm House on the New River," a farmhouse retreat that offers the perfect escape with easy river access right across a tree lined country road and within just minutes of the New River State Park and two River Outfitters that offer tubing, canoeing, kayaking and bicycle rentals. 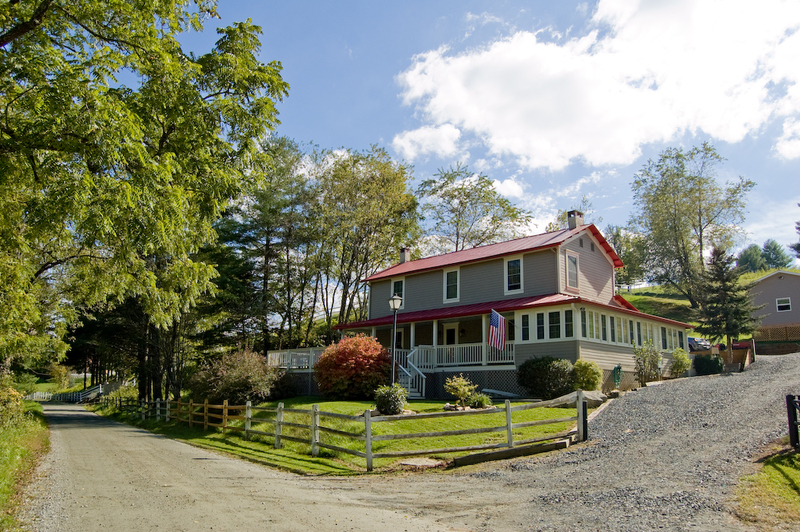 This spacious farmhouse has 3 bedrooms and 3 baths and enough room to accommodate your entire group up to 12. 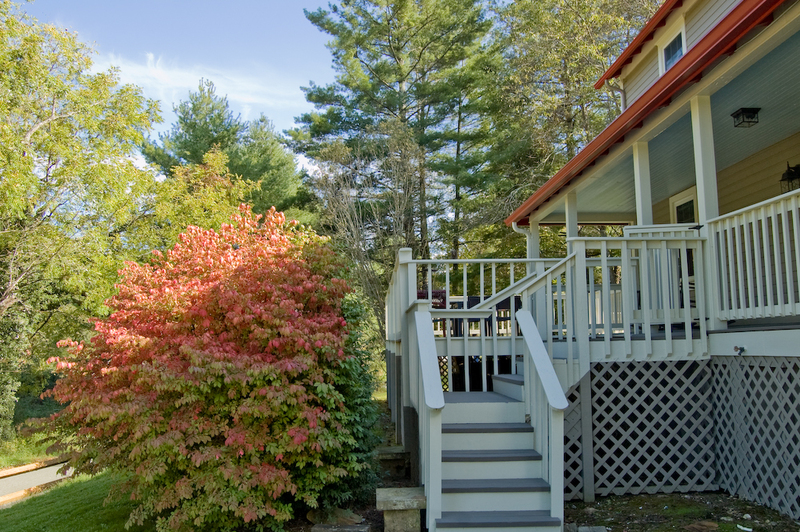 The main level living floor plan is handicap accessible and offers kitchen, dining room, living room, master bedroom and full size guest bath with tub / shower combo and access to both the covered porch and open sun deck. 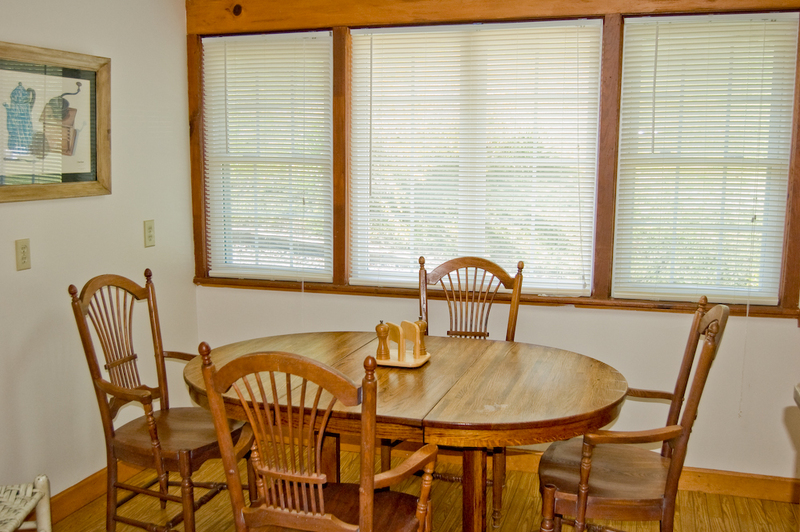 The updated and fully-equipped kitchen provides everything you need for cooking and eating during your stay with both a dining nook that seats 6 and a dining room that seats an additional 6 people. 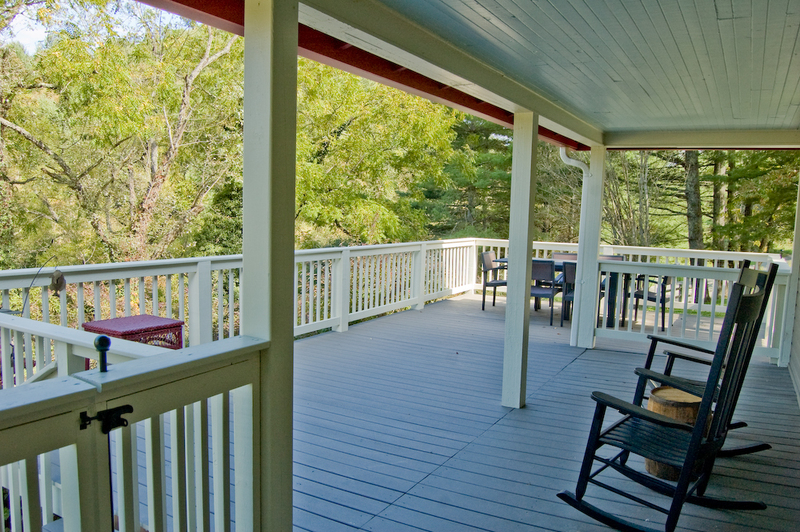 Additional dining space is available on the over-sized front porch overlooking the river. 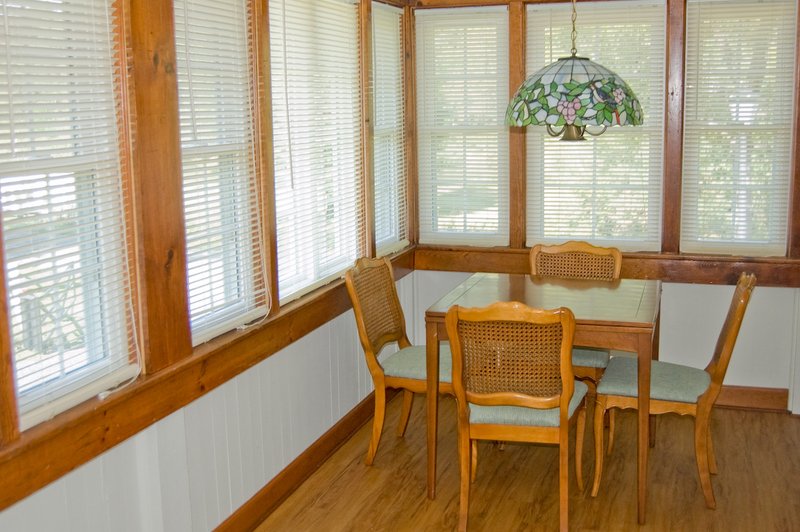 Off the kitchen is the sun room / game room, perfect area for kids and adults alike, card table, games and more. 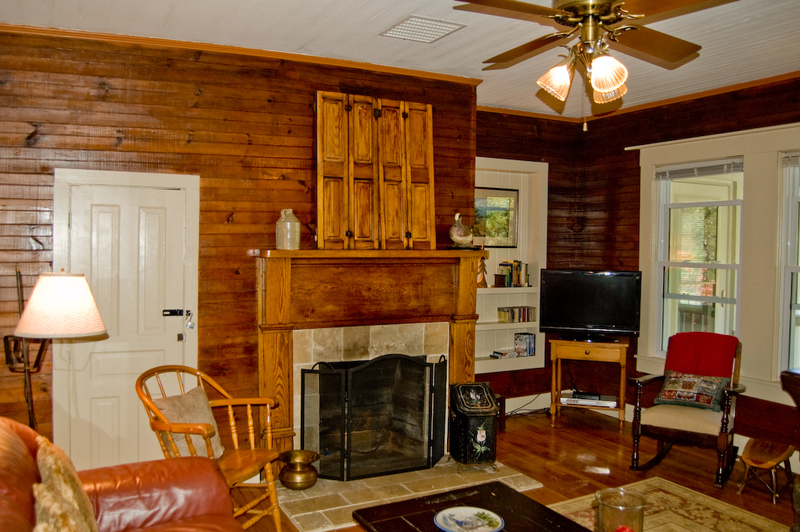 The living room features gas fireplace, flat screen TV with satellite and lots of windows to enjoy the lovely country setting and historic New River. 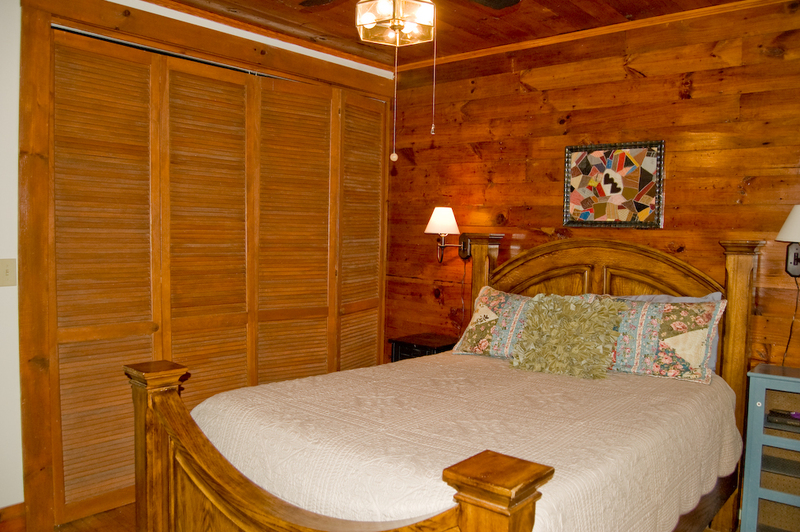 The master bedroom offers queen size bedroom with en suite master bath with tub / shower combo. 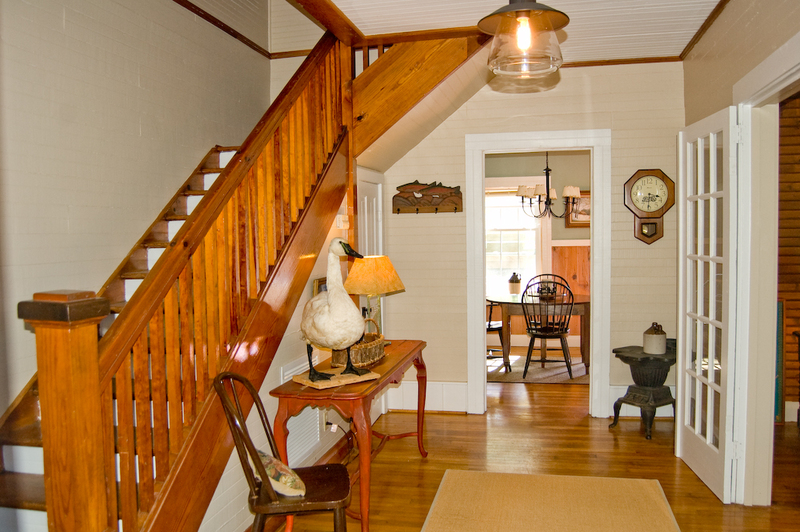 The interior of the farmhouse offers unique touches and historic elements throughout. 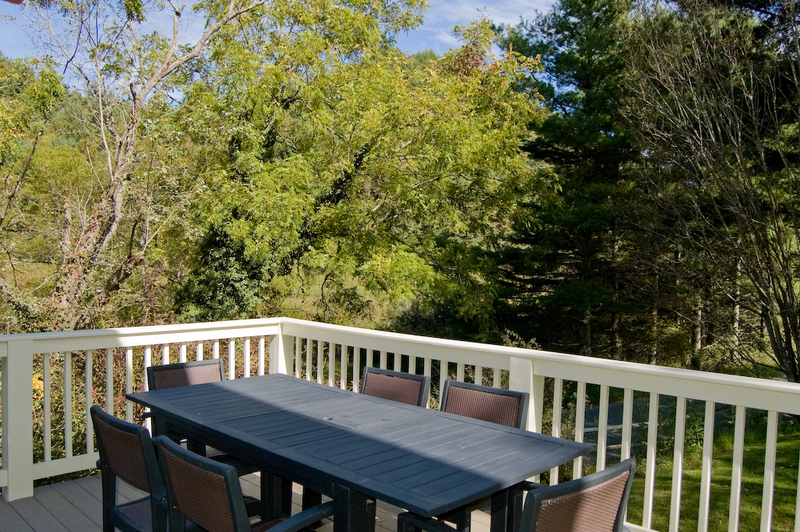 Relax with a cup of coffee in the morning on the spacious deck as you take in the sounds of the river nearby or dine al fresco and take in the views of the surrounding mountains. 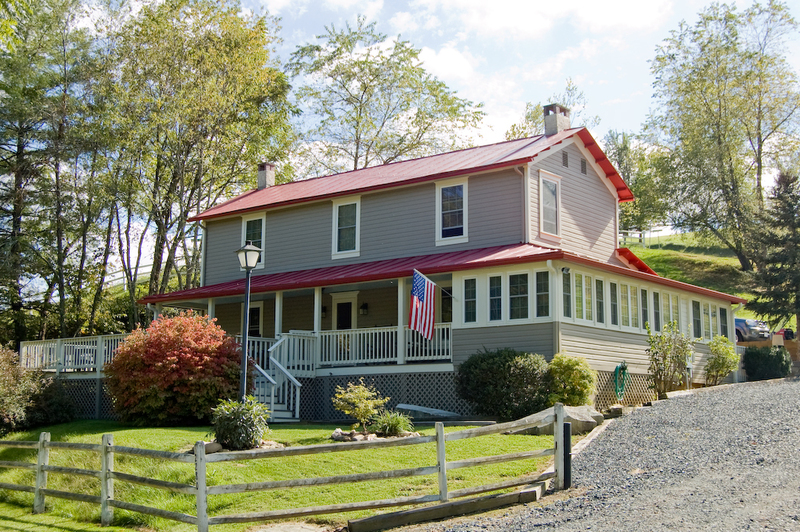 Dunrovin Farm House offers the perfect river getaway and is located just outside of West Jefferson, yet is within the vicinity of Grayson Highlands State Park in Virginia, offering you plenty of opportunities to explore the beauty of the area. 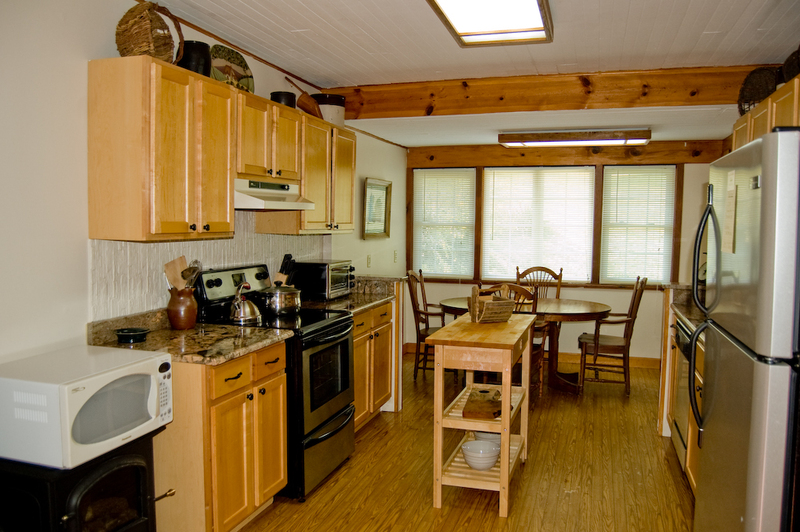 Area recreation opportunities include fishing, hiking, biking, canoeing, and tubing all minutes away. 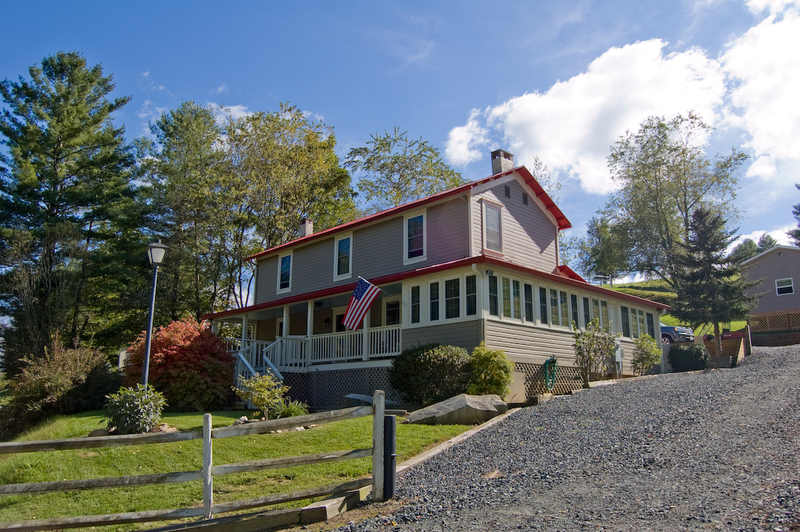 Attractions nearby include the Blue Ridge Parkway, Grandfather Mountain, Mount Jefferson State Park, New River State Park, Blowing Rock, the quaint downtown of West Jefferson and?of course, Tweetsie Railroad! Start the day hiking the Cascade Falls Trail on the nearby Blue Ridge Parkway. After your hike, go for a drive along the Parkway, enjoying the many scenic vistas that characterize America's most beautiful road. Sample the local goods and harvests at the Ashe County Farmers Market and explore the many Art Galleries and cafes in Downtown West Jefferson. 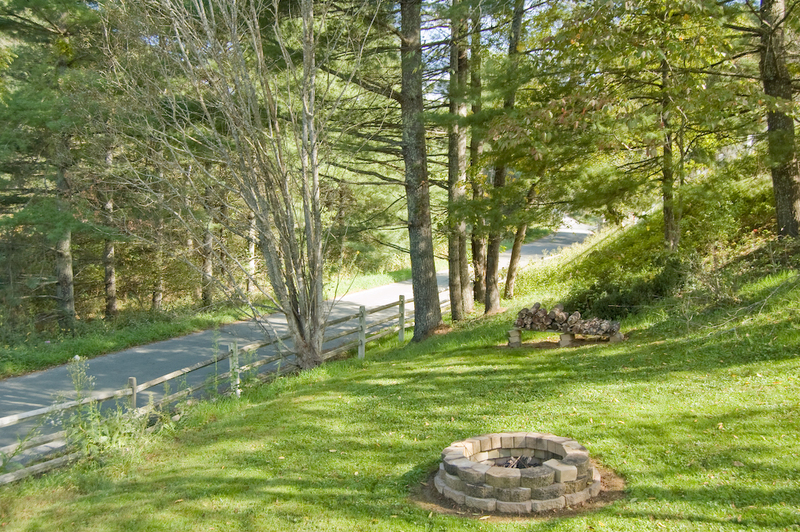 Continue on to Blowing Rock and shop at the many unique shops in this quaint mountain town. Next on the agenda, journey to Grandfather Mountain and a harrowing?but awe-inspiring--walk on the Swinging Bridge and a visit to the natural animal habitat. If there's time still left in the day (if not, there's always tomorrow!) visit Thomas the Tank Engine at Tweetsie Railroad or go kayaking or tubing on the New River or bicycling on the flat, scenic road that runs next to it. 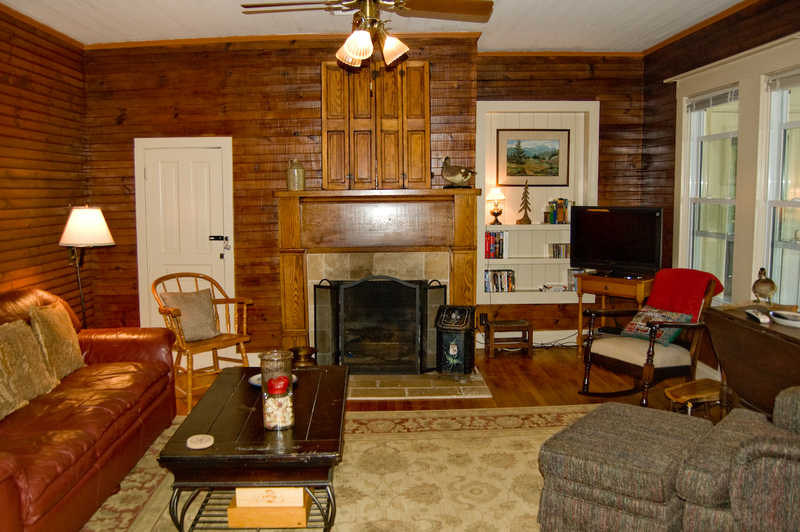 "The house is beautiful and the master bed is extremely comfortable "
"We had a great time at the farm house! 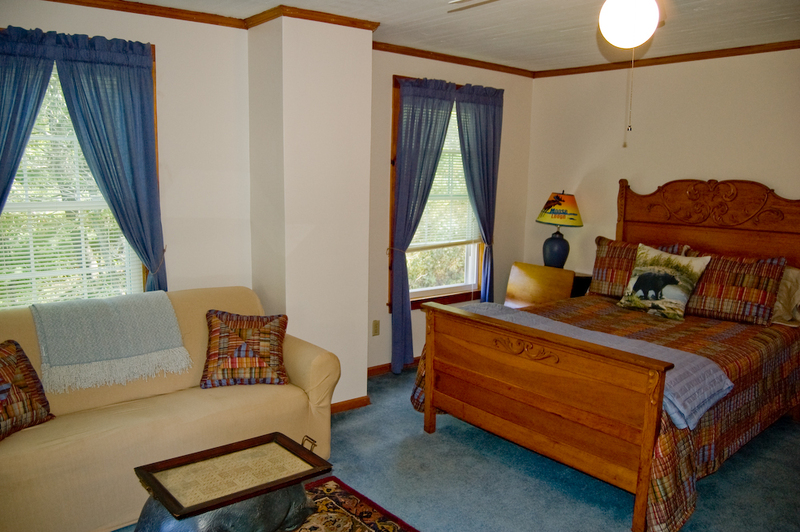 It is very spacious and the bed in the master bedroom is super comfy. We had plenty of space to spread out and enjoy the home. The firepit was great! We would stay here again for the space, but prefer direct river views and access. 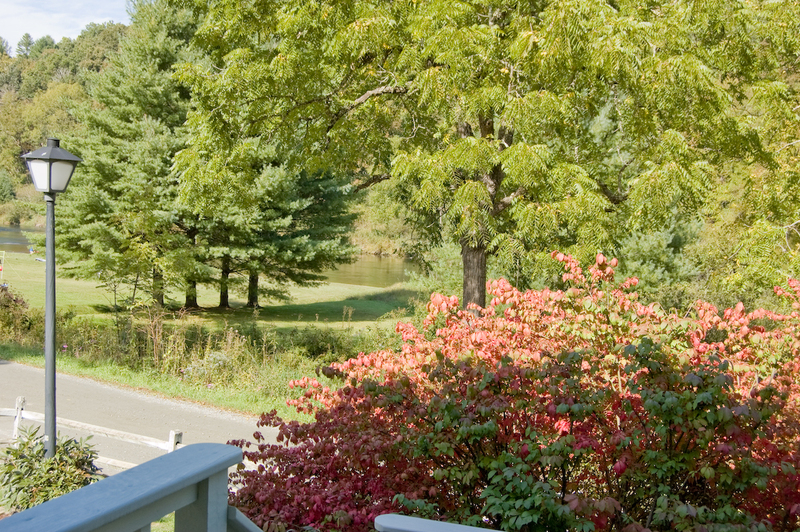 You can see the river from the front porch off to the left, but there are campers and trees in view. We also love the convenience of leaving our kayaks close by, but had to drag them quite a bit and up a hill to get back to the house. Not complaining, just explaining our preferences. The only complain I really have is that some people drive WAY to fast on the road. With little kids, I was concerned one would get hit. " "Our family came to NC from Orlando and Miami to escape the wrath of Hurricane Irma. 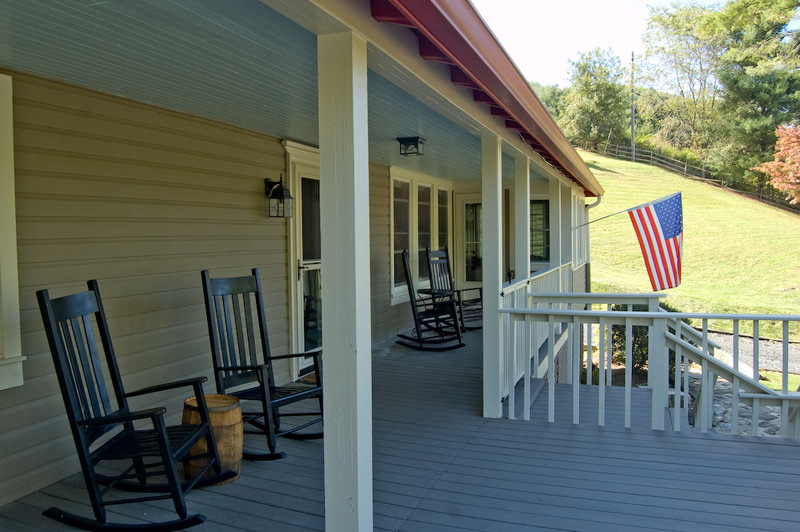 Although it was a trying time for them having to leave their homes and some family in FL and worrying about their properties, staying at Dunroven Farm House helped ease their anxieties. 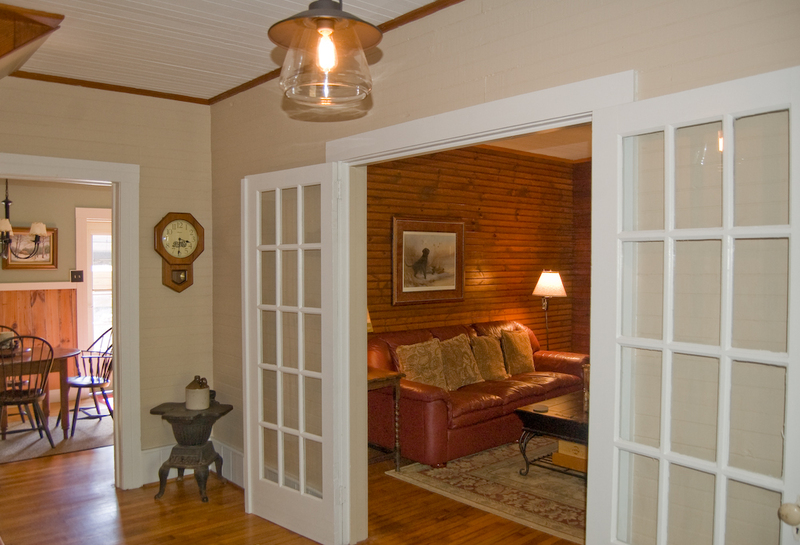 The farm house makes all who stay there feel at home. I was fortunate enough to have my family celebrate my 68th birthday at Dunroven, creating happy times as a much needed distraction from the turmoil they will face with their return to FL. Thank you Terri and Todd for sharing this wonderful vacation paradise." "Get house in a great location! Perfect for our family!!" 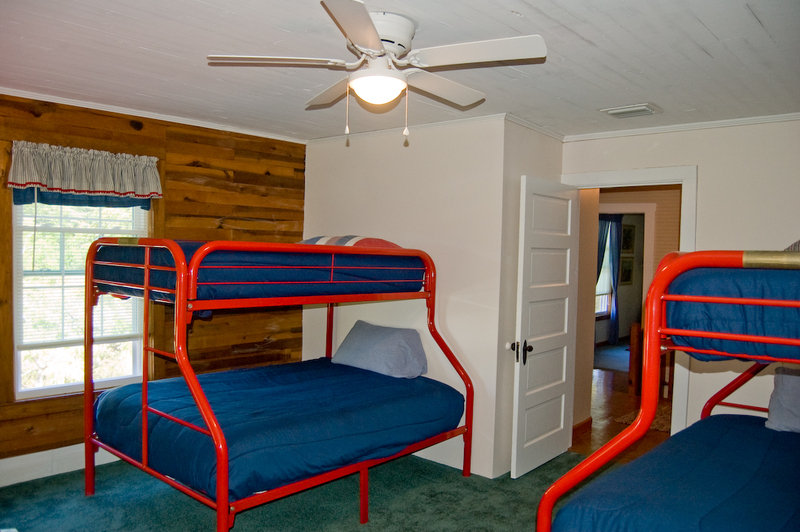 "This was a very nice place to stay,it has lots of room for guest to spread out and be comfortable.The air conditioning systems worked great and the kitchen area was wonderful.The only thing I would upgrade is the bunk beds upstairs,the mattresses are not very comfortable,but other than that the place is great." "This is such a wonderful property. Perfect location. Grounds were beautiful. The interior of the house was perfect. Plenty of space and sleeping areas. The kitchen was fully supplied with everything one would need. Loved it!" "We had a great time. Very spacious. It was ok on the cleaning, but we cleaned a couple of things ourself. From time to time it smelled like sewer from the septic tank inside the house. That was a bit disappointing... , but we had a good time"
Thank you for the feedback, we have addressed your cleaning concerns with housekeeping. The plumbing issue has now been repaired. Future guests, please let us know upon arrival or during your stay if anything is not to your satisfaction or needs attention and we will make every attempt to quickly remedy. "Wonderful experience. We have been renting in this area for a long time now. 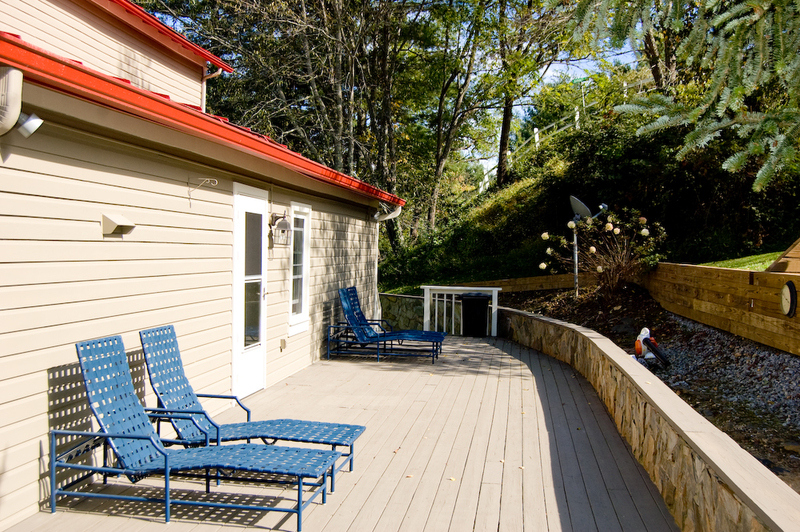 This rental and process was easy and we enjoyed our trip. " 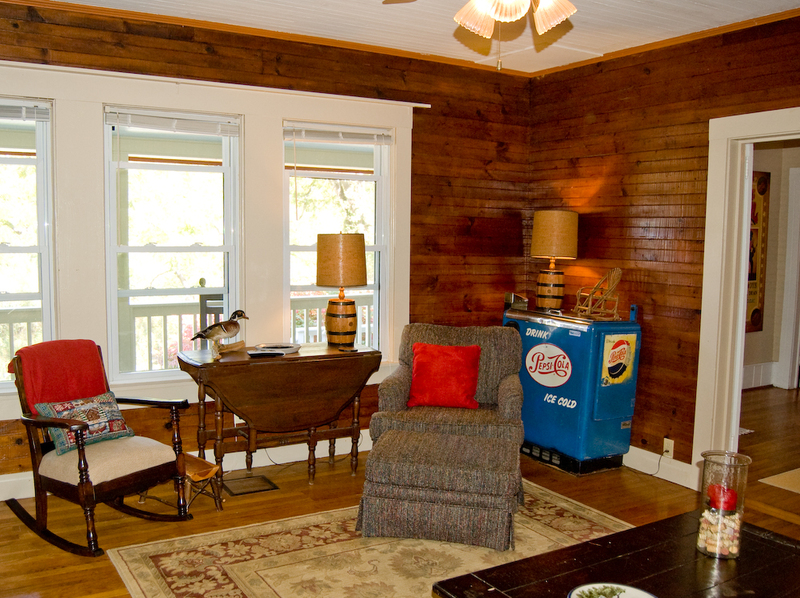 "The management company AND the owner went above and beyond to meet our crazy needs! As Hurricane Matthew tried to ruin our family reunion, we were coming from Florida, New Mexico and Virginia to Hilton Head Island. 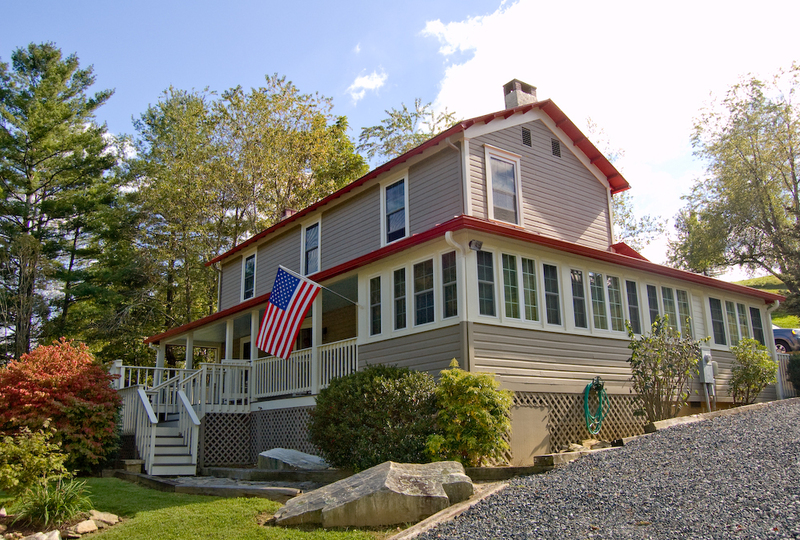 This home was the PERFECT solution and we had a wonderful time! Thank you! " Thank you for you response. I am so glad that your family reunion wasn't ruin and you decided to come to the mountains! Maybe next year you could do the family reunion here again! Thank you for staying with us! 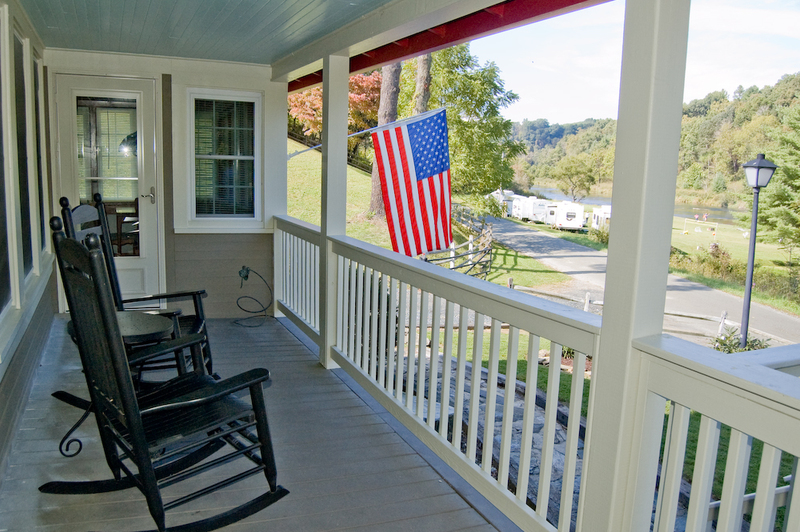 "we had a great time in this home the front porch was great for the 2 days it rained "
We discussed this review with the guests and they actually meant to give us all 5's, the best review possible. It was just a mistake when quick posting the review, please be sure to read their comments and other rave reviews. They are already planning on renting this property again next summer. 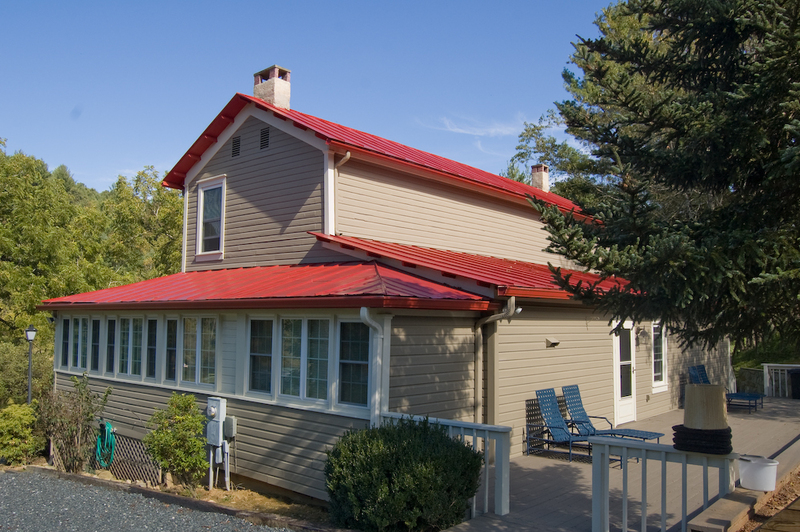 Tom C. and his family have vacationed with us every summer since 2013! 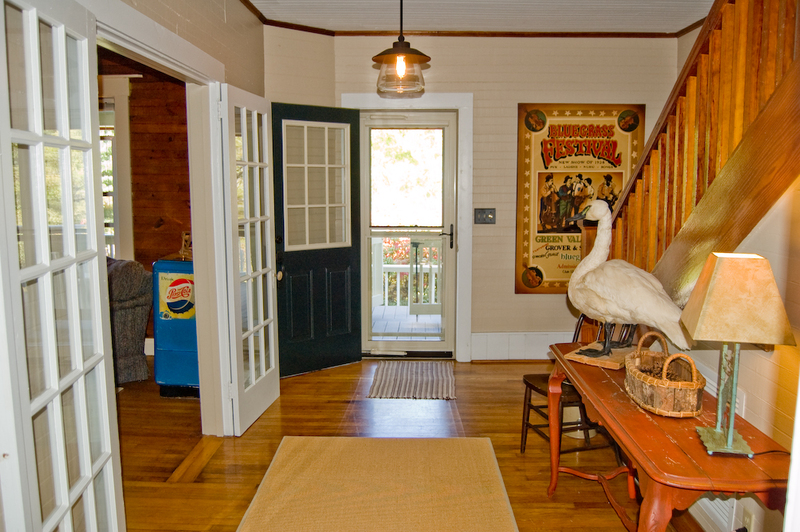 "We rented Dunrovin Farm House for a Family Reunion. What a great house! Plenty of room to accommodate our group. 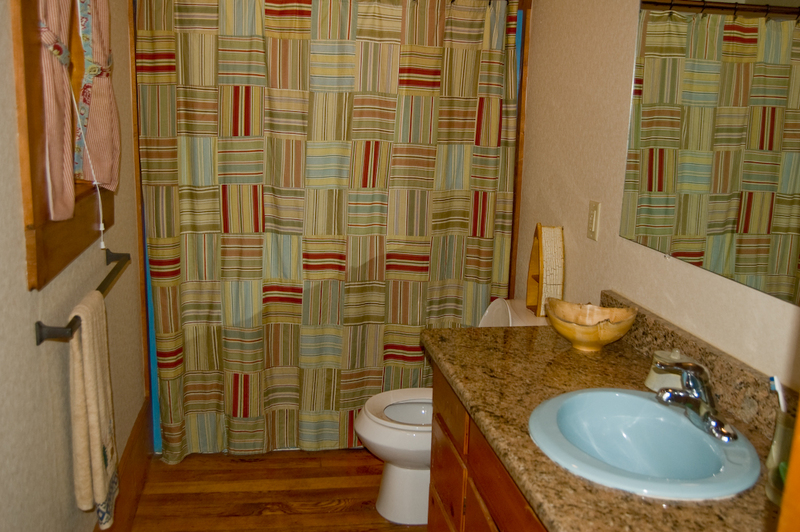 Comfortable, clean, beautifully decorated with every amenity available. Location was ideal." Thank you for your response and we are glad that you enjoyed your family reunion! 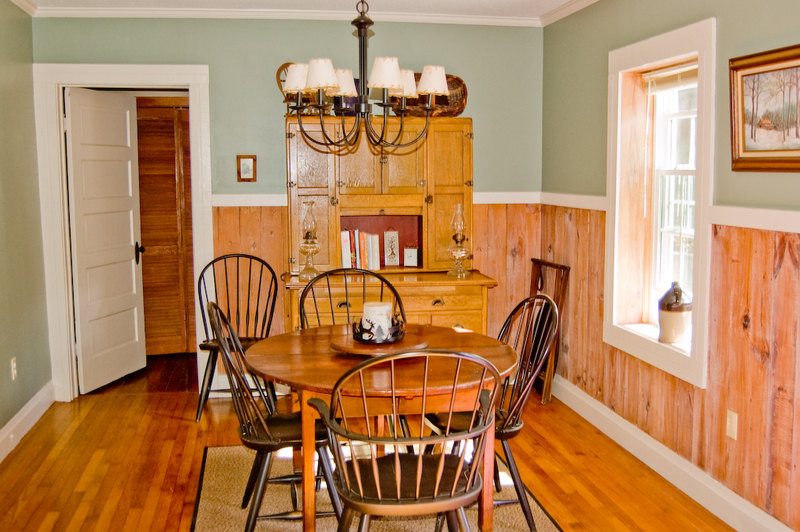 "The house was beautiful, and a very comfortable place to stay. It doesn't have direct access to the river, but there is public access down the road a bit. We will definitely be back! " "We had a great time. 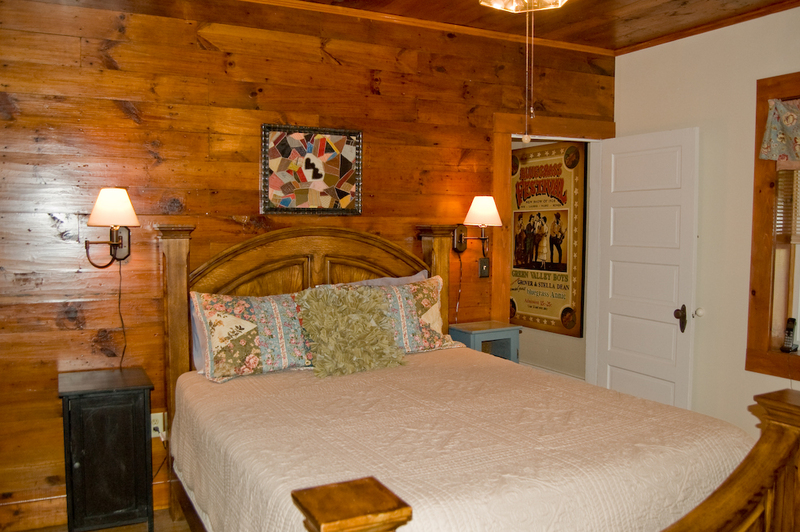 The cabin was clean and roomy."